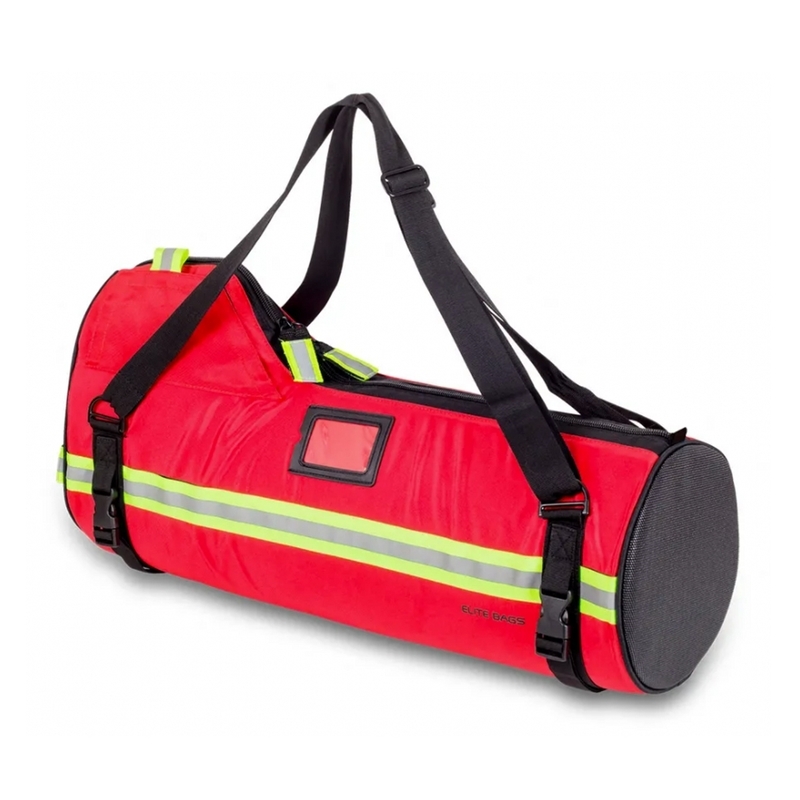 Emergency bag specifically designed to facilitate the transportation of all the necessary requirements for emergency situations involving cardio-respiratory arrests. • External pocket for personal protection items, gloves etc. 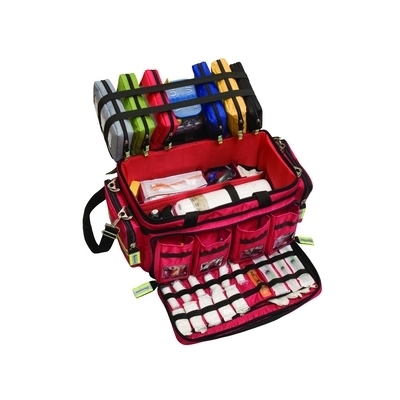 Emergency bag designed for Emergency Services to facilitate the transportation of all the necessary requirements for situations involving basic life support. • Isothermal ampoule holder with 27 elastic bands. Note: Contents shown are not included. 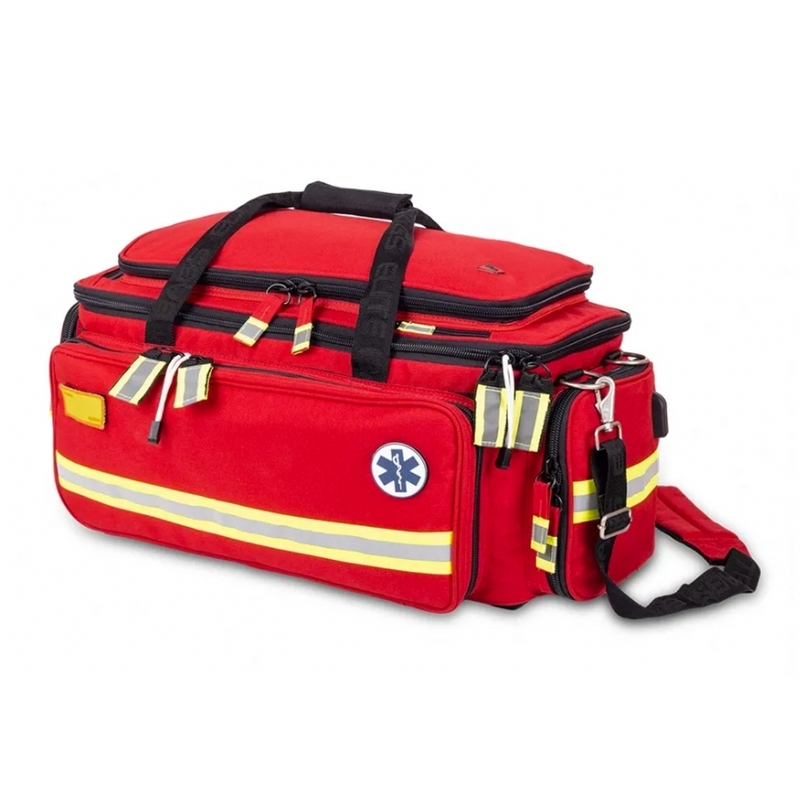 This large emergency & life-support bag is the ultimate holdall for medical emergencies. The interior dividers are completely removable allowing the bag to be configured to suit many different requirements. The splash-proof exterior, made from hard-wearing nylon, is emblazoned with reflective strips and the bag can be carried or worn over the shoulders or as a backpack. Thick elasticated straps inside and numerous pockets hold equipment and consumables securely while ensuring they can be accessed rapidly. An oxygen cylinder can be carried in safety and an isothermal compartment is included for up to 56 ampoules. Paramedic's backpack designed to organize and comfortably carry essential medical equipment for emergency rescues in places of difficult access. Emergency bag designed to transport cylinders up to 5 litres (with pressure gauge) together with all the items required to apply oxygen therapy. This compact first aid bag is designed for early interventions in emergencies and can be carried by hand or worn on the waist or leg.